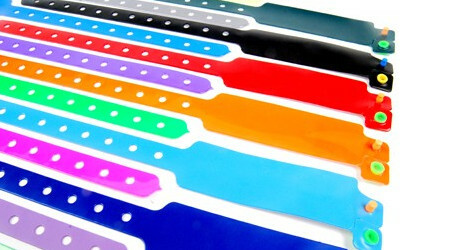 Vinyl bracelets with your logo, a perfect solution for events of all sizes. Vinyl bracelets are very strong, they can not break into your hand. Vinyl bracelets are disposable, after their removal, wear a bracelet on the arm will not be possible.